How to create a PDF booklet by using A-PDF N-up Page? I am so tired of the repeatable work of combining multiple pages in an array every day. But I have to do this to make booklets for customers. Is there any simple way to arrange the pages for printing? If I use A-PDF N-up Page, how do I create a PDF booklet? With A-PDF N-up Page, you can quickly make creating N-up imposed PDF documents. It could not be easier and faster to make foldable booklets with A-PDF N-up Page. 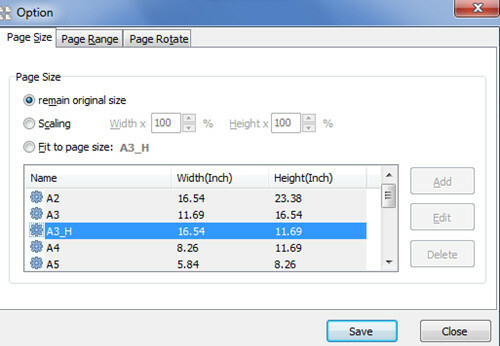 A-PDF N-up Page allows you to customize your page size, page range and page rotate. And you should not worry about the operation, it is simple. You just need to add your PDF and select the mode. All other things will be done automatically. More importantly, you can batch add PDF documents and create PDF booklets in minutes. In this way, your work would be simplified to the following steps. Step 4: N-up page and create a PDF booklet.